I seriously think there are very few 10x engineers, but instead that a productive engineer is one that knows how to focus on the task at hand for long periods of time. Apart from other actions to achieve discipline and concentration, I love to do pomodoros (usually 45 min long), but at work I noticed there were two things annoying me since long, long ago: Gmail with high volume of mails, and Slack notifications of unread messages. Here is how I inverted the control and now I can check the email or work chat whenever I want (between pomodoros or at idle times). 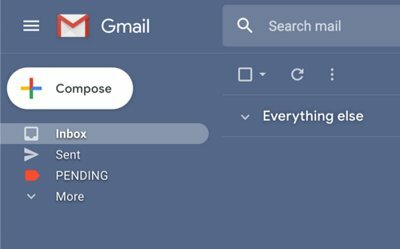 I once read about the zero inbox concept regarding email: Develop some rules for your mail client so you don't have those huge unread counters. I, for example, can't handle an unread counter (I get stressed), so this idea was a nice solution. In my case, what I do is have a pending label, that I apply to any email that requires something from my side (a reply, a follow up if after a few days I have no answer, etc.). This system allows me to keep zero unread emails by quickly checking their contents and manually labelling them. But just combining Github, error logging, CI build reports and a few more sources you can easily get from dozens to even hundreds of daily emails. So I also heavily use filters to usually "apply label X, and archive", and if is not important also "mark as read". As you can configure each label to display on the left sidebar "only if unread", this means the sidebar itself hides the complexity (you can have dozens of labels if you want) until there are unread emails. And when those arrive, you can check and mark as pending or not. Teaching people to use BCC field is a plus, but being humans, there will be mistakes, people forgetting about it, etc., so I've became used to filter sometimes even certain senders (as if they were spam), based on my mental metrics of "has this person ever sent a relevant email? ", "do I even care about offtopic emails of topic xxxx? ", etc. It sounds antisocial, but to me is exactly the same as being slammed lots of postal mails on my mailbox, just because it's digital and easier to do doesn't means you should write everything to everyone. Extra tip: Do not enable the "unreads counter badge" advanced feature. For personal email might be cool, for work I dislike to see the counter at the favicon if I have to use the web browser. Slack can be a useful communication tool, but also an overwhelming source of distractions and a concentration-breaker. I've never fully liked it not because of the product itself, but because of the use and abuse vs ways to protect yourself from it. But, there was one thing I couldn't get to disable and forced me to directly close the browser tab; I use the web client, and the favicon always shows you unreads and private messages/mentions. Few days ago I got tired of the situation and, as I use Chrome for work, searched for some extension to replace or fix the favicon of a tab... and found Tab Modifier perfectly suiting my needs. With this hack, I can finally check the browser as many times as I want without being distracted of having unread slack messages. We live in a world full of digital noise: From ads and videos to lots and lots of emails. While educating people is and will always be an ongoing task (after all, few things are so critical can't wait 30-40 minutes), with some effort we can regain some control and reduce that noise.